But your type of business, and who your customers are, should play a big part in deciding where you locate your business. A Courier business’ premises may not need to be visible but a florist’s certainly does – unless it is an online business. Wherever you are, you are going to make a costly commitment to the premises, so it should be chosen carefully. What do you need to consider? Access to your customers, access to your suppliers, price. Do your customers need to come to you? If so, how easily will they be able find your business and to get to you? Can you (legally) put up visible signage? Sometimes, being near to your competitors and complementary businesses can be a good thing: think of food courts in shopping malls. It may make it easier for customers to find you. If you are a plumber, you need easy access to your suppliers. If you are a butcher, you need to be close to your customers. A bookkeeper or a web designer could save rent money by working from home. Steel fabricators, bakers, ‘tuck shops’ and dress makers often operate from homes in townships. But if you offer training courses to businesses, working from home might not be professional enough. And, can you focus on your work at home with the distractions of chores and kids and TV? Do you have all the facilities that you need at home: internet, printer? Which raises the question: what kind of premises do you really need? A freelance journalist could work from a coffee shop. But if you need peace and quiet or access to office equipment, you don’t have to rent and equip an office in an office block. An innovative alternative is the shared services co-workspace. There are two kinds: conventional and as-you-need-it. You can rent serviced office space from Business Centre or Cube Workspace or Regus for a month or more. They provide a receptionist, personalised call answering, meeting rooms, internet, photocopier, courier service… These services are shared between many businesses keeping the costs down. You can rent a ‘hot seat’ in a communal workspace or ‘hub’ for an hour, or a day, or whenever from Common Room (Parkhurst), Daddy.O (Woodstock), The Impact Hub (Braamfontein), OPEN (Maboneng), Desk Engine (Sandton). They may be a bit more bohemian / arty and really suit the creative and socially responsible entrepreneurs. If you are going to rent premises, before signing the lease, do some ‘research’: Are there enough of your kind of customer there? Are most of the other premises occupied? If rent is very reasonable, ask yourself why? Ask the other tenants if they are happy there and if they have any gripes. Negotiate the rental escalation down to as close to the inflation rate as possible. Make sure that the lease has a flexible exit clause. 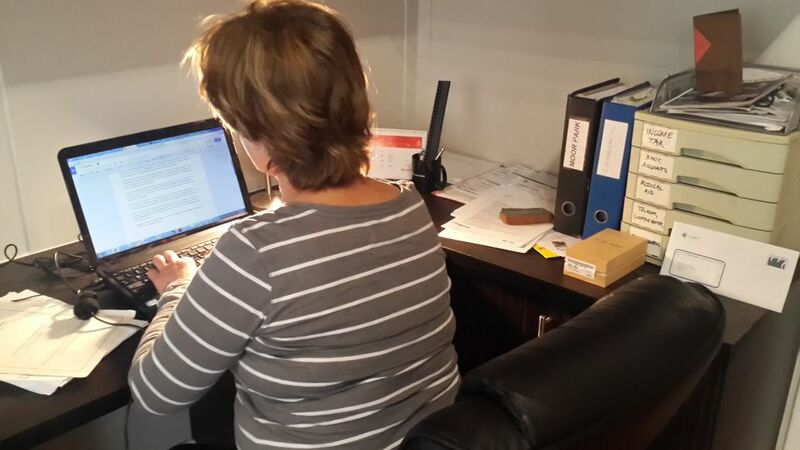 An entrepreneur in eMalahleni believes that working from home might make one lazy. Knowing that you have rent to pay at the end of the month is an incentive to make sure your business works. What do you think? Please comment. Click here if you want to discuss how we can help you with choosing premises.